Purple Line Extension | Update: Southern California Edison (SCE) Utility Civil Work, Wilshire Blvd. Update: Southern California Edison (SCE) Utility Civil Work, Wilshire Blvd. 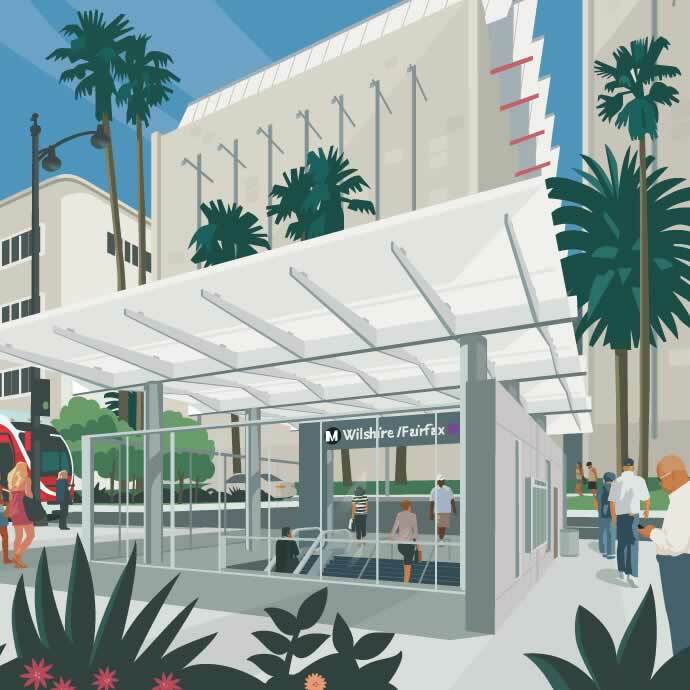 The Purple Line Extension Subway Project, Section 2 continues pre-construction work activities in the City of Beverly Hills for the future Wilshire/Rodeo station which will be located on the southwest corner of Wilshire Blvd. and Reeves Dr.
Pre-construction includes advanced relocation of utility lines prior to station construction. SCE civil work will include installation of traffic control devices, median removal, excavation and shoring, placement of temporary trench plates, utility construction, and surface restoration. Detailed information can be found on metro.net/purple under Meetings, Pre-Construction, Section 2 Rodeo Station SCE. Daytime work will take place on Monday, January 29 from 9am to 7pm. Night work will continue through Tuesday, January 30 from 10pm to 6am. Temporary lane reductions on Wilshire Blvd., between Beverly Dr. and Crescent Dr.
All work has received necessary permits and approvals from City of Beverly Hills.